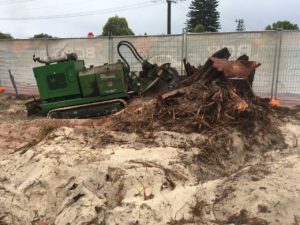 How Much Does It Cost for Stump Grinding? 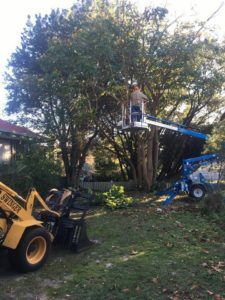 When it comes to stump removal, it’s not as easy as one may originally believe. 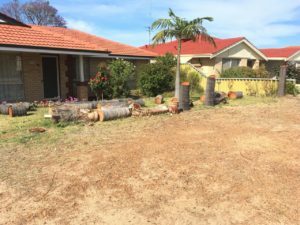 The chopping down and removal of the tree itself is relatively simple unless it is very large and dangerous, but the difficulty in removing the stump has seen many people just leave them behind and why you see so many tree stumps left in the ground. 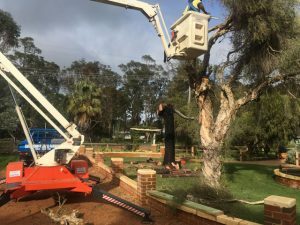 To allow for more available space and area for productivity, as well as safety for those who move around it, the stump should be removed sooner rather than later, and a professional is always your best bet for professional and effective grinding and removal. 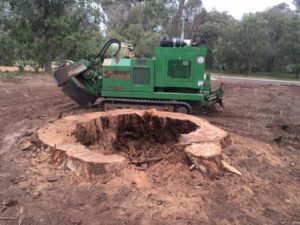 The size of the tree stump will inevitably be a significant factor in the cost of grinding it out of the ground. The blade is only so big, regardless of stump size, so the bigger the stump, the longer it will take and the more mulch it will produce. This mulch can be removed for an additional cost or spread throughout the surrounding garden. It will also take significantly longer to grind out a large stump. 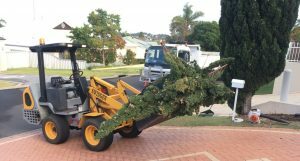 Stumps in tricky locations, such as in small garden beds or behind sheds may incur extra charges for the use of additional equipment to get to the stump location. It may also take a lot longer in labour time to manoeuvre around the obstacles to physically remove the stump itself. 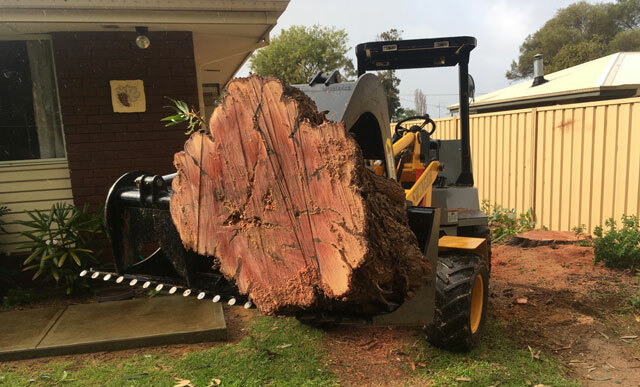 Tree stumps in easier locations, such as the middle of a backyard or on a front verge, can also call for some equipment to get through the back gate to access the stump or safety equipment to cut off the verge to avoid pedestrians being affected by the stump removal. 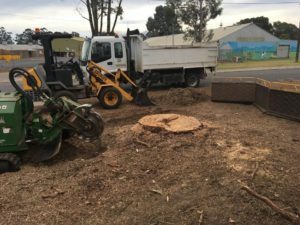 Your tree stump might look simple enough to remove, but what is going on around it? Is it easily accessed through a side gate? Are there underground service running close to the base? Is it located right next to a pool or a fence/wall that might be damaged in the removal process? 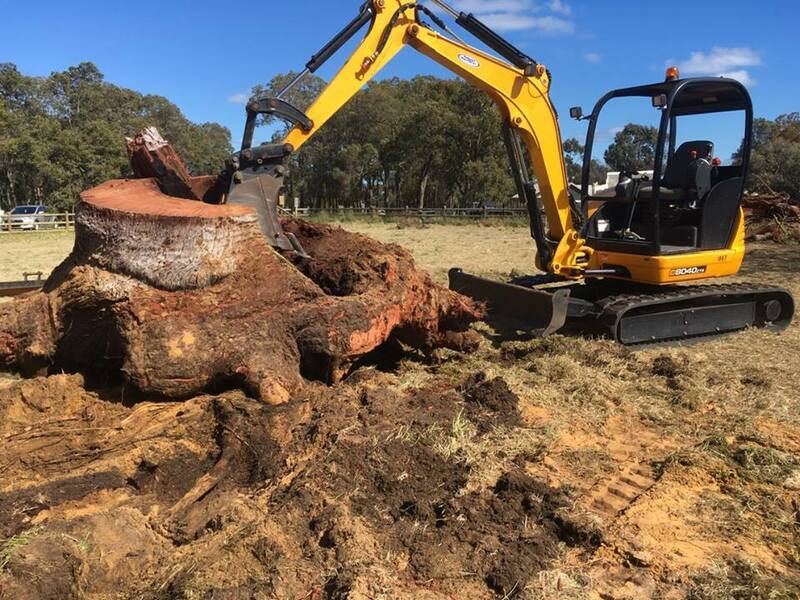 This is one of the main reasons why you should employ a professional to remove tree stumps; they are able to assess the surroundings when they give you a quote and reduce the risk of any excess damage. Who Can Remove My Tree Stumps For A Good Price? Armac can assist you with all of your stump grinding and removal, no matter what the size, location or surrounding obstacles. Ray and the team pride themselves on a reputation for reliability and exemplary workmanship for a competitive price to suit any budget and garden dream. Call Armac on 0448 442 477 for your free, onsite quote today. 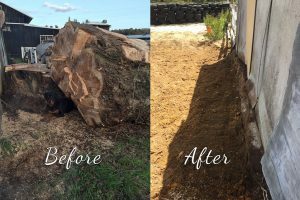 Your tree stump might look simple enough to remove, but what is going on around it? Is it easily accessed through a side gate? Is their underground service running close to the base? Is it located right next to a pool or a fence/wall that might be damaged in the removal process? 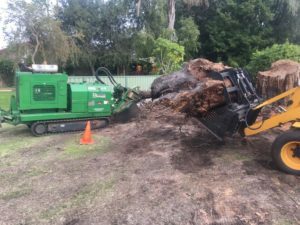 This is one of the main reasons why you should employ a professional to remove tree stumps; they are able to assess the surroundings when they give you a quote and reduce the risk of any excess damage. Armac can assist you with all of your stump grinding and removal, no matter what the size, location or surrounding obstacles. 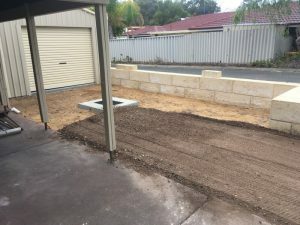 Ray and the team pride themselves on a reputation for reliability and exemplary workmanship for a competitive price to suit any budget and garden dream. Call Armac on 0448 442 477 for your free, onsite quote today.